Discussion in 'Article Discussion' started by Combatus, 6 Jun 2014. It would be so much better to read more articles talking about the functionality of graphics features than just use them as eye candy to sell a game. I do love good graphics and spend lots of money keeping my system up to date so that I can run my games at high settings but I'd also like to have a better understanding of the how the graphics are achieved. Best article and by far the most interesting article I've read on BT in a long time, a credit to the author! Agreed, what a great article and i'd have to agree the stagnation in debate about graphics comes down to the publishers or developers or whoever not actually talking about what they have done. I remember back during the nintendo/sega wars being able to talk to mates about different graphical effects which had been utilized in various games for example F-Zero using the pseudo 3D effect which couldn't be done on the megadrive/genesis, and the snes also having a higher colour count on screen which made made things prettier. There were all sorts of interesting facts back then which made graphics an interesting subject. Good article and if a game can be designed to run smoothly and be playable at 40-50 fps that would be great and maybe less gpu power would be necessary to run the game and while it's true that PC gamers are often obsessed about fps, who's fault is that? There is nothing worse than trying to play a game that's stuttering along and freezing at intense moments so of course we are focused on fps but only because we want a game to be playable and 60 fps is a happy medium to achieve that, for me it's not essential to have 60fps as some status symbol, it's necessary to avoid headaches and make game playing enjoyable, sorry if that's a "tedious and petty argument of the second camp" but I don't build a gaming PC to watch slideshows, the game play may be brilliant but it's killed by rubbish frame rates. I think most of the PC gamers prefer 50-60FPS and adaptable FOV setting over better graphics and graphics effects. The publishers should focus less on the graphics part of the game and more on the story and game itself. like far cry 3 the game play is good but the story just pulls you in and you just want to finish it. while assassin creed BF is more variating but is lacking a good story. Disinterested means impartial not uninterested. Agree with that, I play at 1080 on a single monitor with one gpu and that resolution and graphic detail is fine for me, I would rather lose some detail and effects to maintain 50-60fps. I strongly agree. I'm a former game developper and have a master degree in graphics programming. I'm 30 years old and grew up at the center of those improvement (both hardware and software). 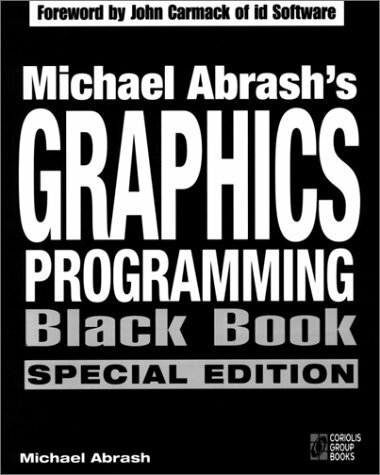 My first graphics programming book was one forworded by John Carmak, and his advises / principles still echoes hard in my brain : "The best possible optimisation is located between your two ears. An unefficient code, even optimized, will stay an unefficient code !" It's outdated now (mostly using assembly to display 3D GFX), but gives a clear idea about the trickery behind the screen. One of my teacher told me: "Coding represents, at best, 20% of the developement time. Take a paper and a pencil, think clearfully, draw and analyse it well. Go beyond the commonalties and innovate". What has me sad is how there's seemingly a divide between graphics and gameplay/story. People think that you can only have one or the other, and that graphics don't matter in regards to the story and gameplay. This infuriates me because it simply isn't true. Our primary method of interfacing with a video game is through the visuals! how those visuals are displayed is therefore very important. People seem to think having good graphics is literally massive poly counts and realistic lighting, that's all. In reality everything from the art style, animation quality and cinematic features to even the actual camera method used are the graphics. Beautiful graphics have the ability to convey a story, an atmosphere, a set of feelings by themselves. It's a shame that people are so ready to shed them nowadays. While the GFX aren't high end by the current criteria, the animation and general ambiance is great. Its top notch sound track is the cherry on the top. Very, very good article, one of the best I've read in along time. Haveta agree with Maki and Guille, Everything from animation to soundtrack, mixed with everything else today's graphics technology brings to the table can make a truly great game. Get any of them wrong and you could ruin it. Maybe it's my slowing mind, but i used to understand the technical details of what went into making a map. Back in the days of Doom II the graphics and level design was, compared to today's games very simple. When Quake came out things started to get a lot more complicated, even though i tried to understand the newer tools and the new ways to make it a more immersive experience i started to struggle. Is part of the problem that graphics technology has advanced so far in recent years that it would be difficult for most people to understand it ? So people resort to discussing something they do understand, FPS, and resolution. Am I the only one who thinks that graphics looked just fine since 2006? Think Half-Life 2. If every game since looked like that... that'd be fine, really. That wouldn't impact gameplay in any way. Sure, pretty games are pretty, but being a pretty game does not make it a good game. Far too often these days do developers use a pretty aesthetic as a crutch for poor gameplay. "Our game is ****, but boy, is it pretty! 10/10, please." I'd just like to go back to the days where games were heavily focused on being fun to play instead of fun to watch. I think this is where indie game studios succeded. Being small studio, if not composed of a single person, they can't produce tones of 3D models with very high res textures, etc. Good article. Would be interesting to read more about how graphical techniques feed into game play mechanics. Great graphics do not make a game great. Great games do not need great graphics to be great. But pretty graphics can change how a game feels. World of goo just feels perfect. Minecraft benefits from its cubes. Limbo & Monument Valley are visually perfect and can be rendered on the smallest of mobile GPUs. And on the high end the tombraider reboot has such amazing engagement with the character because of what how the visuals look and MORE IMPORTANTLY what the devs have done with them. The movements, the textures - how Lara interacts with the environment - all go to keeping you engaged. It's not alone. There's many games (good and bad) that have well thought out visuals that genuinely add to the experience. Exactly. Graphics, just like sound, music, force feedback, stereoscopy, odors (maybe in the future) ... all of them are just tools that serves the story tellings, the gameplay or both.